Gallery Skape opened in 2004 with the aim of representing the multiple art forms that make up the contemporary art landscape. 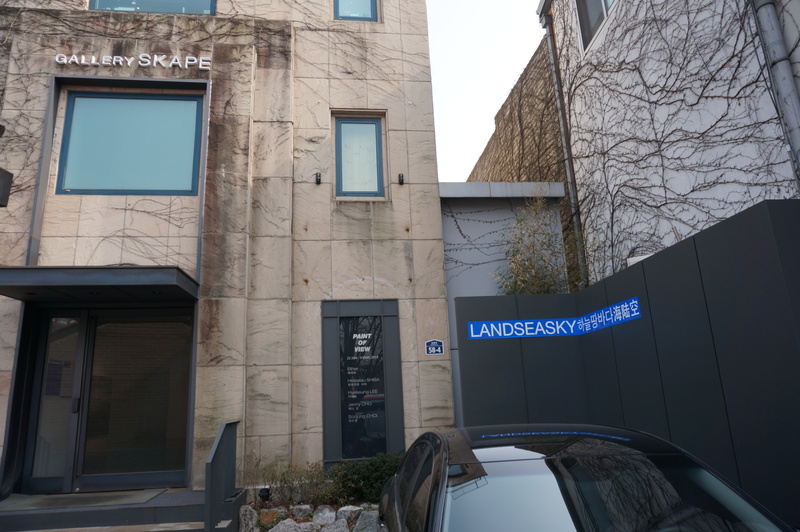 Actively promoting contemporary Korean artists since its establishment, the Gallery has been quickly positioned as a platform for new art in Seoul. This leading art-consulting institution participates in the major international art fairs to further promote Korean contemporary art. The Gallery has participated in Art Basel Hong Kong in 2013, Hong Kong Art Fair in 2012, Tokyo Art Fair in 2009, 2012, 2013, Art Amsterdam from 2007 until 2010 and Taipei Art Fair in 2012. Gallery Skape is progressively gaining international recognition along with the representing the most promising contemporary artists in Asia. Developing and forming an international network, Skape aims to be an active stage for the contemporary art scene. 갤러리 스케이프는 동시대 미술계를 형성하고 있는 다양한 예술 형식을 소개하는 것을 주요 목표로2004년에 개관했다. 설립이후 적극적으로 동시대 예술가들을 알리면서 스케이프 갤러리는 서울에서 새로운 예술을 위한 발판과 같은 공간으로써 빠르게 자리잡아가고 있다. 선두적 예술 자문 기관으로써 동시대 한국 작가들을 더 널리 알리기 위해 주요한 국제 아트페어에 참가하고 있다. 갤러리 스케이프는 아트 바젤 홍콩(2013), 홍콩아트페어(2012), 도쿄 아트페어(2009, 2012, 2013),아트 암스테르담(2007-2010), 아트 타이페이(2012)에 참여했다. 또한 스케이프 갤러리는 아시아에서 가장 촉망받는 동시대 예술가들을 대표함으로써 국제적 인정을 꾸준히 받고 있다.스케이프 갤러리는국제적 네트워크를 형성하고 발전시킴으로써 동시대 예술의 발전을 위해 적극적인 지원자가 되는것을 목표한다.